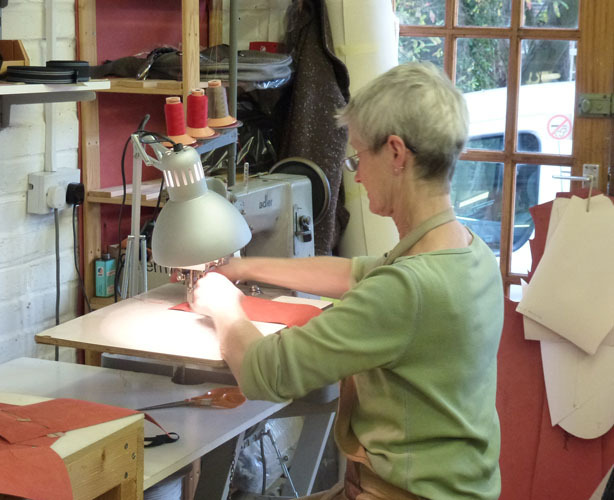 Jane Hopkinson Bags is a family-run business in the heart of the English countryside. 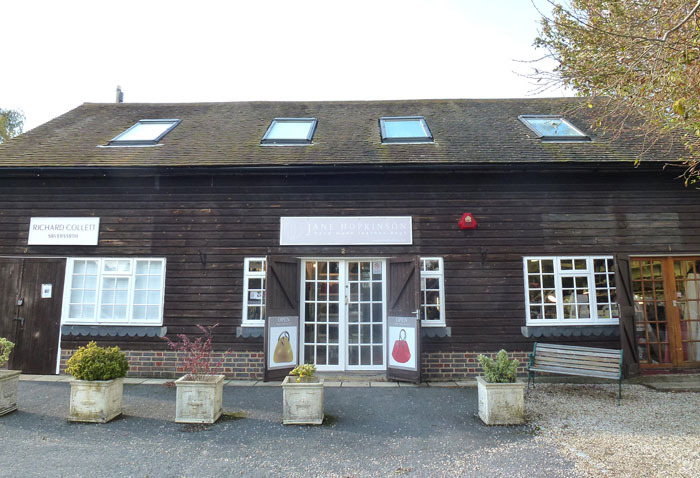 Famous for its arts and crafts, Ditchling became home to artists and craftsmen alike in the early 20th Century and it remains a hive of creativity to this day. It is here that our workshop is based, a world of inspiration. After nearly three decades in the business, we specialize in creating that vital combination of function and style that our customers have come to trust. From supersoft Italian leathers in rich, subtle colours, to quirky sculptural forms in bold textures, there are designs to fire the imagination and delight the senses in equal measure. 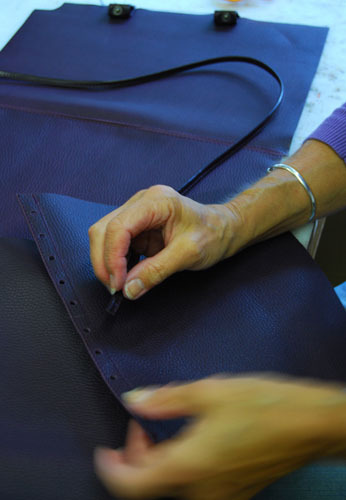 We believe that simple is best and that our attention to the smallest detail is what gives our leather handbags the edge. 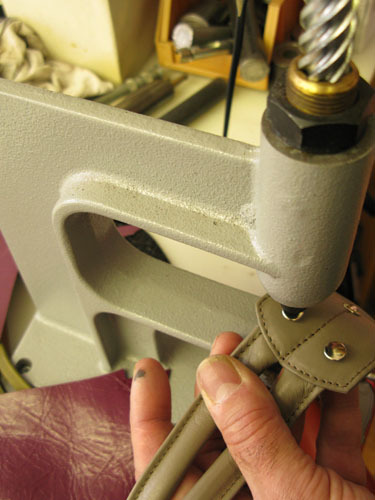 We select the finest raw materials from Bologna; we road test our fastenings and toggles so that they will never let our customers down; and we constantly refine and extend our collection to ensure our designs remain current and unique. With over thirty unique designs in our collection, all with individual stylish features, we offer two distinct ranges: our exquisite structured leather evening and shoulder bags for special occasions; and our soft, organic designs in cow and calf hides, great for everyday use. 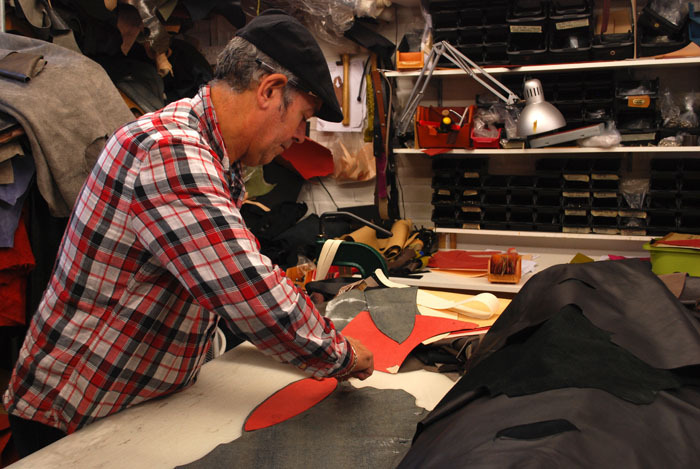 We specialize in creating unusual colour combinations, mixing them with printed and plain leathers. All our luxury leather handbags are unique, embodying our commitment to quality and style. After working as a primary school art teacher via art therapy Jane retrained in theatre design making props for Glyndebourne Opera and ENO before designing sets and costumes at the Young Vic. Taking time out to have children Jane created her first collection in 1980 based on her passion for unusual shaped forms which lead to her first commission with the Pineapple Dance Studio, Covent Garden and later designs for boutiques in Japan and America. With the business developing Jane's husband Jerry, himself a sculptor and artist joined the business to collaborate their ideas and put Jane Hopkinson bags on the map. As a further development their daughter Leah joined bringing her knowledge and experience of the fashion world working with high-end designers Lulu Guinness and running her own fashion label to make Jane Hopkinson bags a family enterprise.